Banks wanting to leave the company was made into a storyline on this week's RAW. If recent rumors are to be believed, Sasha Banks wants out of her WWE contract desperately. After being told that she and Bayley would be losing the Women's Tag Team titles at WrestleMania, The Boss reportedly went ballistic backstage, leading to an un-named Superstar getting a busted lip by accident. This week though, WWE bizarrely addressed the real-life incident, with commentator Corey Graves saying Banks has taken her ball and gone home. This has left many fans baffled as to why WWE would address this story, which if you are a fan of the former RAW Women's Champion, portrays the company very poorly. Though it seems there may indeed be a method to WWE's madness. Here are five reasons why WWE decided to make Sasha Banks planning to quit into a storyline on this week's RAW. Banks recently pulled out of an appearance representing WWE due to "personal reasons". Ever since the rumors began that Sasha Banks wanted to leave WWE, things have not looked good for the company. 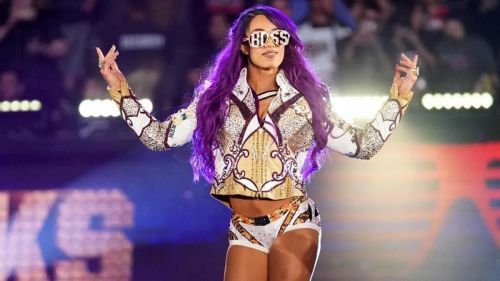 Sasha's most loyal of fans have accused the company in forcing her to stay, whilst those critics of the WWE have suggested this outburst by The Boss will lead to her being 'buried' on-screen. By turning this very-real issue into a storyline, WWE are blurring the lines of kayfabe and reality. Now, any major media who sees this will be led to believe that this is all just part of a bigger picture, saving face for the WWE. 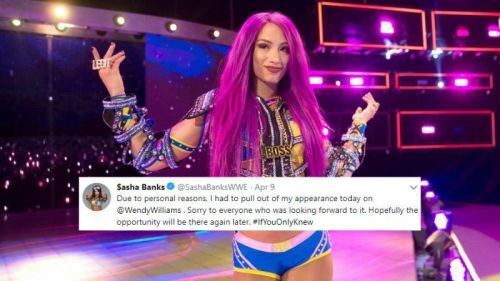 Plus, any outburst from Banks, or any of her fellow Superstars about the situation on Twitter, can similarly be dismissed as being WWE's idea, rather than the real-life frustration from the men and women on the roster.